So it has begun. The endless packing is upon us. My roommate has packed quite a bit of her belongings already because she is leaving for France on the 16 May and won’t be here for the actual move. Convenient, no? Her trip was already planned before the idea of purchasing a house popped in my mind and it all fell into place during her trip. It will be okay. I managed to pack the majority of my books, but this is about it. I have a 4-day weekend beginning this Thursday and will devote the time to some serious packing. I will also need to get back in to the garden and dig up more plants. It’s stressful because some many of the plants such as the lilies are on the verge of blooming. I do so hate disturbing them. The seller of the home contacted me yesterday to let me know the repairs have been completed. I let the loan company know of this so they can inspect the repairs they required. If the repairs pass inspection then the closing is the 20 May. The seller is going to let us start moving our belongings in before we close, which is quite nice of them since I haven’t found movers as of yet. I contacted one, but they want $2,500 to move us once block! A neighbor is going to lend us their truck and landscaping trailer so my roommate and I can move breakables and lighter items ourselves. 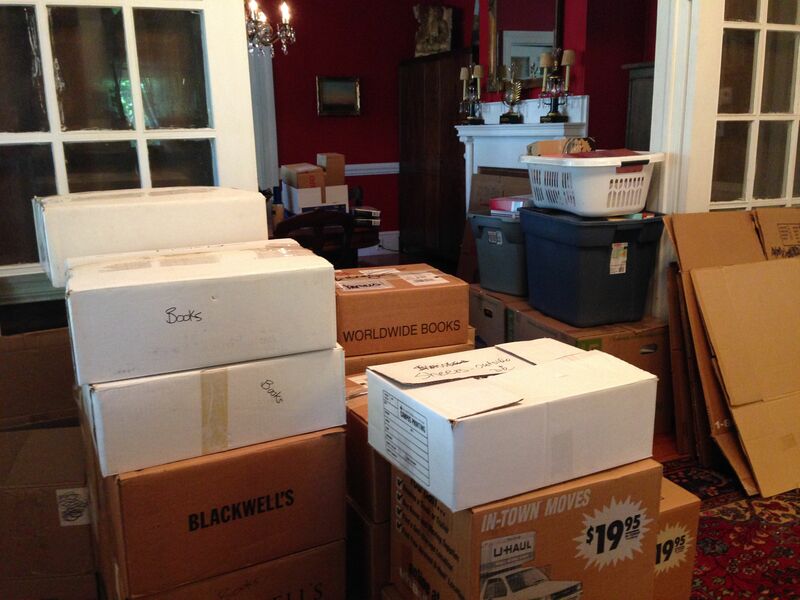 Perhaps we can move enough items that hiring movers to do the rest won’t be too expensive. The list goes on! I figure this has all got to fall in place because the ball is rolling down hill now and there is no way to stop it. I just need to keep up.